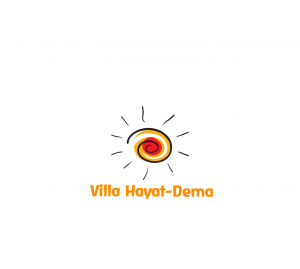 We have the added benefit of the support of an English operated Management Company who look after the villa in resort and are based in the High Street. They offer an excellent service and are available should you need any assistance during your stay. The swimming pool, terrace and garden are maintained on a daily basis by our management company, and they will have prepared the villa for your arrival. If you are staying for 2 weeks a mid stay clean will be provided for your comfort, and the villa is equipped with everything you may need to use in between. However, if you wish to arrange for a mid stay clean during a 7 night stay, this can be arranged for an additional cost of £20.00 and will need to be booked before your check in. We can offer to arrange a private luxury transfer for the 50 minute transfer from and to the airport, to ensure that you journey flows from the moment you set foot in Turkey. Alternatively you may wish to hire a car for the duration of your time in Turkey and collect your vehicle at the airport. If you wish to hire a car for part of your stay this can be arranged by our management company in resort. Telephone – To call the UK dial +44 then omit the first ‘0’ from the number you are calling. Electricity – Turkey has a 220v power system with 2 round pin plug sockets. Banks/ATM – The banks are located in Fethiye generally 9-5pm, there are several ATM’s in Hisaronu where you can withdraw cash from your card in Turkish Lira. Currency Exchange – There are many currency exchange locations in Hisaronu. Driving – Right hand side of the road, please note that although there are zebra crossings this doesn’t mean that drivers WILL stop to let you cross. Drinking Water – Although it is safe to drink tap water, it is recommended that you buy bottled water to drink, it is perfectly fine to use the tap water for the kettle and for teeth brushing. Taxi – There are 2 taxi ranks clearly identified at either end of Hisaronu ‘High Street’ , However, there is also a call ‘button’ system in operation with one opposite the villa at the ‘Destina’ hotel so it makes sense to use the ‘Destina’ as your drop off collection point as it is well known in the town.